English Heritage is a government funded organization which exists to protect historic buildings and structures and promote greater understanding of England's history, historic buildings and landscape. It has many of the most spectacular buildings in England under its care. 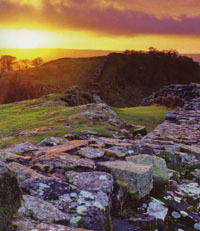 If you join English Heritage you can enjoy the benefits of membership immediately, including special admission prices to over 400 historic sites, free entry for accompanied children under 19, and a free handbook, quarterly magazine and free or reduced price admission to special events. You can join by visiting www.english-heritage.org.uk or phoning 0870 333 1181. There are many more free properties around the Lakes, but some of the most impressive are listed below. 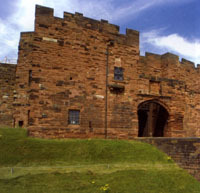 Founded in 1092, the castle served as a stronghold in the wars between the Scottish and English (the Scottish border ran just above Carlisle in centuries gone by). 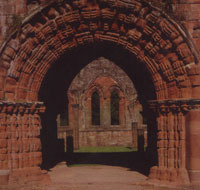 You can see the medieval chambers, stairways and dungeons on a guided tour or wander around the grounds. Both Mary Queen of Scots and Bonnie Prince Charlie had a part in the history of the castle. Signposted from the city centre. Open all year. Phone: 01228 591922 for more details. 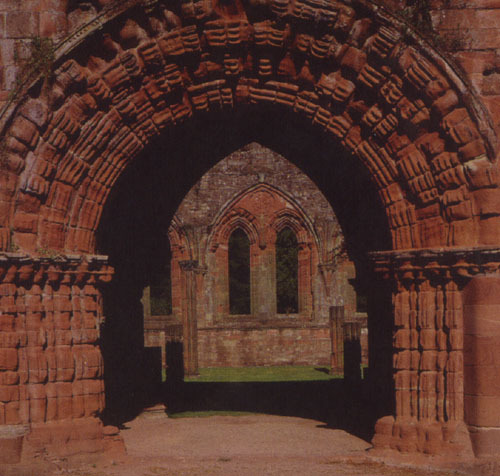 One of the richest Cistercian monasteries in England, Furness Abbey is an impressive place even today. There's an excellent English Heritage audio guide tour, which I highly recommend, and a wonderful museum to put it all into context. 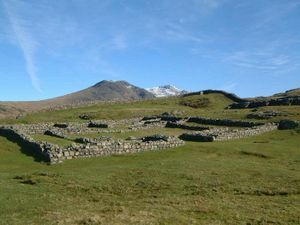 1.5 miles north of Barrow of the A590. Open all year. Phone: 01229 823420 for more details. I find it amazing to think of the Romans in Britain building this defensive barrier from one side of the country to the other. Some of the forts are especially impressive, and English Heritage have wonderful interpretation museums and events at the main visitor centres that always give you a sense of the place and time. Phone: 01434 322002 for more details of opening hours and events. This was the place where Edward 1 rested during his last campaign. 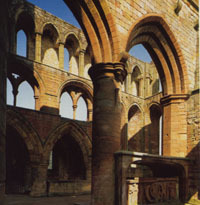 It's a magnificent 13th century Augustinian monastery; the nave is especially impressive and gives a true sense of the magnificent grandeur of the Priory as it must have been in its heyday. Open April to October. Phone for more information: 01697 73030. Now this is an attraction I especially like. I grew up near the mill, and remember wandering around it as a child. 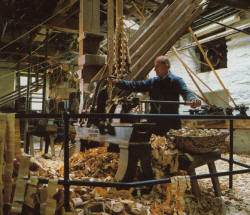 It stood empty but intact for many years, and now, thanks to the wonderful restoration by English Heritage, it has been restored to a fully working bobbin mill with the original equipment. Fascinating and entertaining, and especially good on the history of the workers. Phone for more details: 01539 531087 Open April to October. An astonishing place to find a Roman Fort. Inspiring, beautiful, and evocative; even though not much remains of the fort itself you can get a good sense of how life must have been here thanks to the tireless efforts of English Heritage. Free, and open all year. 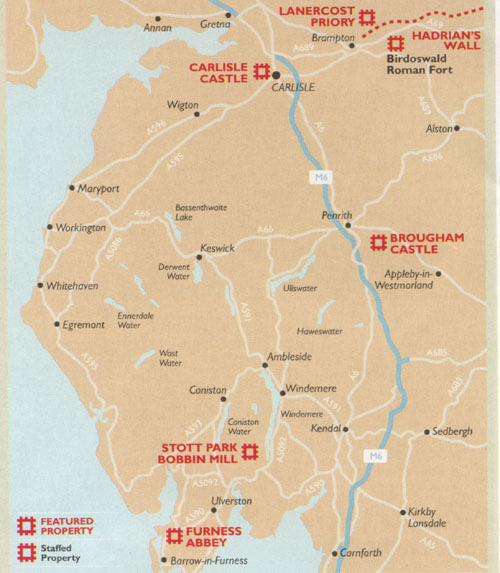 Full Lake district walks information here!